SACRAMENTO, Calif. - March 9, 2019 - PRLog -- Denise Healy will team up with other leading entrepreneurs and professionals, including Best-Selling Author® Jack Canfield, to release the new book, The Success Formula, which brings together successful entrepreneurs to offer advice as a catalyst to success. Sacramento, CA March 9, 2019– Educator and Psychologist, Denise Healy, recently signed a publishing deal to co-write the forthcoming book titled The Success Formula, published by CelebrityPress® LLC. In addition to Healy's expertise, the publication features content from world-renowned entrepreneur, professional speaker, and Best-Selling Author® Jack Canfield. The book will be released under the CelebrityPress® LLC imprint, a leading business book publisher that publishes books from ThoughtLeaders® around the world. Denise Healy was selected to be in the book because of her commitment to professional success and willingness to share her vast knowledge. Her professional expertise makes her an asset to the publication and will surely benefit a wide range of readers. Denise is privileged to assist and support people who are seeking to better themselves by taking steps to make positive changes in their relationships. She is dedicated to helping those who are seeking a way to reconnect with a loved one and arming them with the positive, social skills they need to bring harmony back into their lives. Denise has taught, mentored, coached, and counseled literally thousands of people over the last four decades. She is versed in knowing which strategies work to mend broken connections in relationships. Denise adds value to people through assisting them in applying positive social skills strategies to real life circumstances so as to yield positive outcomes and success. She is invested in building relationships, adding value to teams, and increasing psycho-educational performance outcomes. Denise is an educator and psychologist. She is a John C. Maxwell certified coach and speaker. Her newest venture is as an American author and entrepreneur. Denise established Cedar Rose Publishing. She embarked on this journey to further support non-fiction and historical fiction work in the areas of education and psychology. Denise is Co-Owner, Co-CEO of Streets2Schools (S2S). Through this venture she directs a team of Victim's Advocates who works with violent offenders. The company is the first of its kind providing approved interactive virtually based Anger Management and DV-BIP 52 Week Courses in California counties with expansion across the nation. Denise is a highly motivated and creative professional, dynamic and collaborative, an individual that welcomes fresh ideas, has initiative, is dedicated, and experienced in providing service to others. She offers more than forty years of experience in teaching, writing, consulting, facilitation, training, administration, child assessment, counseling and psychology, complemented by a proven ability to motivate and add value to teams. She is a 2019 nominee for a JMT DNA Culture Award; Nurture Transformation. 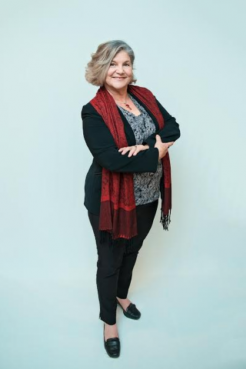 Denise is known for her children's book, Christopher's Anger (WPS) and is the author of Mending Broken Connections (CRP).